Mortality from out-of-hospital cardiac arrest (OOHCA) remains exceptionally high, in spite of advances in prehospital and hospital care. All-comer survival in patients actively resuscitated is approximately 10%, with significant regional variability worldwide driven by geography, public health measures (e.g., basic life support education and use of automated cardiac defibrillators in public areas), and expertise of both “first responders” and receiving hospital centers. Those individuals presenting with so-called “Utstein” criteria are thought to have the best prognosis, and are defined as: patients with a witnessed cardiac arrest; patients suffering an arrest due to presumed underlying heart disease, and those with a presenting ventricular fibrillation rhythm. Indeed, advances in survival and prognosis over the past 15 years have almost exclusively been in this select group of patients with presenting shockable rhythms. Where patients are successfully admitted to hospital with return of spontaneous circulation, survival to discharge increases to approximately 25%. The likelihood of survival appears to correlate with the number of OOHCA cases treated by any individual institute. 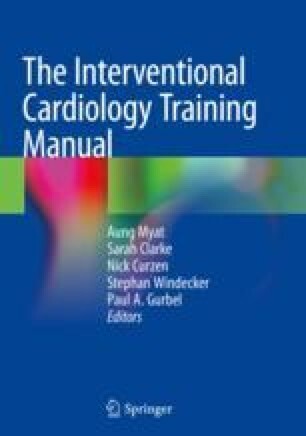 This is driven in part by multidisciplinary goal-directed therapies as part of a “Bundle of Care” approach, which includes more aggressive post-resuscitation care, mild therapeutic hypothermia, access to early coronary angiography, and revascularization of culprit coronary disease where appropriate. Effective post-resuscitation pathways also impact on rates of complications from multi-organ failure and brain injury with subsequent favorable neurological outcomes.